Q: Can you tell me more about a plant called the glory bush? I remember my parents having one when I grew up, and I’d love to know how hardy they are. We live in Southwest Florida. A: The royal purple flowers of the Tibouchina lepidota, or glory bush, continually bloom from summer to fall, and may bloom all year-round in very warm climates. 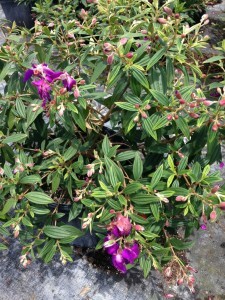 This particular variety, one of more than 350, does well as a low, compact shrub or container plant. For the most stunning effect, plant masses in partial to full sun. Native to South American rainforests, Tibouchina can be rather cold-sensitive in some areas of Florida, so be sure to cover it up if temperatures are forecasted to drop. Some Tibouchinas can be shaped into trees, as you’ll see in the right photo. 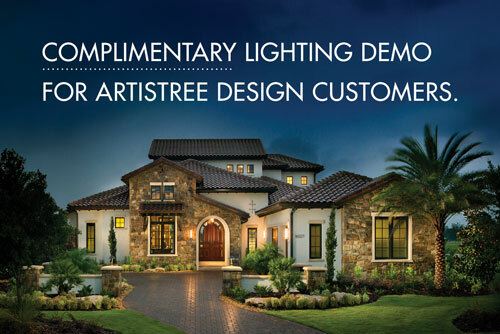 Here, ArtisTree used them to frame a front entrance. They’ll grow beautifully in Florida’s warm climate. We invite you to do your own fun research and find a variety that works best for you! Thank you very much for the crew you sent today. They did a fine job moving the tree. They were very polite and professional in their work and demonstrated a true concern for our satisfaction with their work. Thanks again!